Thursday night was a terrible one for TV ratings if you're on NBC. All five NBC shows carved out brand new lows or tied old ones, with Will & Grace going fractional for the first time. The shows around Will & Grace were even less lucky. Champions fell to a 0.5, now putting it on the levels of Great News, while AP Bio fell to 0.6, down two tenths. The show completely fell apart with the increased comedy competition. At at 8, Superstore finally slipped back down to the 0.8s it was getting in Spring 2017. 10 PM drama Chicago Fire was the healthiest-looking show on the Thursday lineup last night, but even it dipped into fractionals. CBS returned with strong ratings, with Big Bang easily on top but down two tenths and the rest of the shows also down. 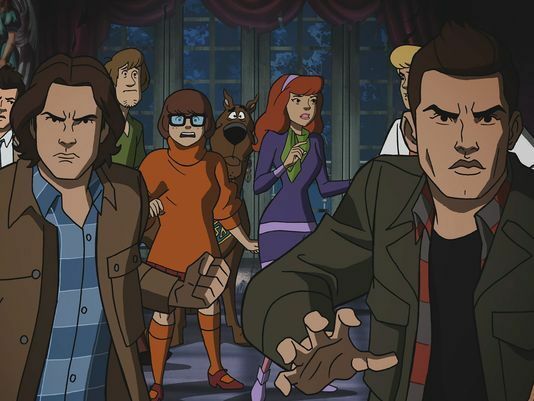 Elsewhere, The CW's Supernatural/Scooby-Doo crossover posted high ratings and pulled Supernatural up to its highest ratings this year. Arrow was unhelped by this increased lead-in. Fox also held steady. ABC saw declines from Grey's Anatomy and Scandal and a bump for Station 19. Finals Update: Grey's Anatomy (+0.1), The Big Bang Theory (+0.1), and Chicago Fire (+0.1) adjusted up. SWAT (-0.1) adjusted down.